We offer a wide range of joinery services including door design and installation. At Tudor Carpentry Services we can install complete doors for any room, in a wide range of styles. At Tudor Carpentry Services we pride ourselves on an efficient and friendly service, and strive to achieve 100% customer satisfaction. 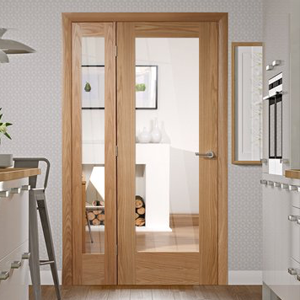 We offer a wide range of door to suit all tastes and budgets, including traditional oak and modern paint finish. Our internal doors are available in a range of contemporary designs with clean and simple lines to suit modern living. We offer internal doors in a variety of other timbers. Our external doors create a strong first impression, as long as the right door and finish is chosen. Our external doors are available in in a range of designs to suit your property. Our door installations can be availble for any part of your home, from simply replacing an old door to adding to your renovated rooms.